HBO Sports returns to Russia for the first time since 2013 to present world light heavyweight champ Sergey Kovalev’s title defense against challenger Isaac Chilemba when the fight is presented in the United States on MONDAY, JULY 11 at 10:15 p.m. ET/PT (same day tape-delayed) from the DIVS Arena in Ekaterinburg, Russia, exclusively on HBO. In his first fight in Russia since 2011, Sergey “Krusher” Kovalev (29-0-1, 26 KOs) defends his light heavyweight title for the ninth time when he faces Malawi’s Isaac Chilemba (24-3-2, 10 KOs) in a bout scheduled for 12 rounds. Kovalev, 33, has emerged as one of the sport’s most feared punchers defeating many of the best fighters in the light heavyweight division including Bernard Hopkins and Jean Pascal. He is ranked as one of the sport’s top pound-for-pound performers. Chilemba, 28, has never been stopped in his 29 professional bouts and will look to use his ring savvy to emerge victorious in his first career world title opportunity. 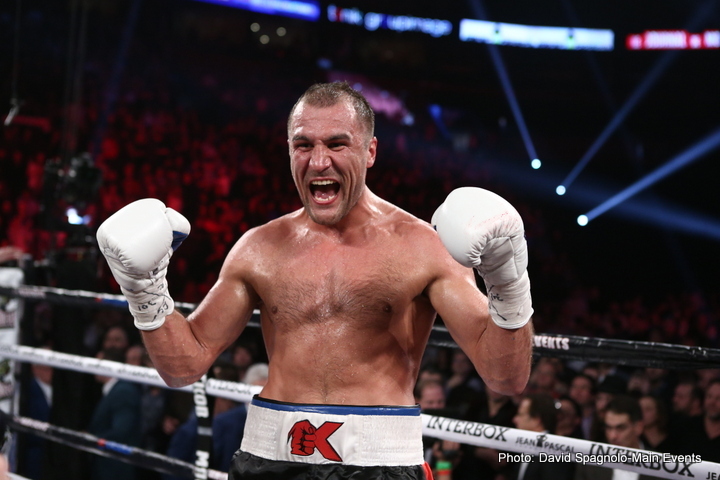 Kovalev vs. Chilemba will be televised from the DIVS Arena in Ekaterinburg, Russia, on Monday, July 11 at 10:15 p.m. ET/PT, capping off an exciting weekend of international boxing on HBO which begins on Saturday, July 9 live at 5:00 p.m. ET/PT when world heavyweight champion Tyson Fury squares off with former titlist Wladimir Klitschko in Manchester, England.